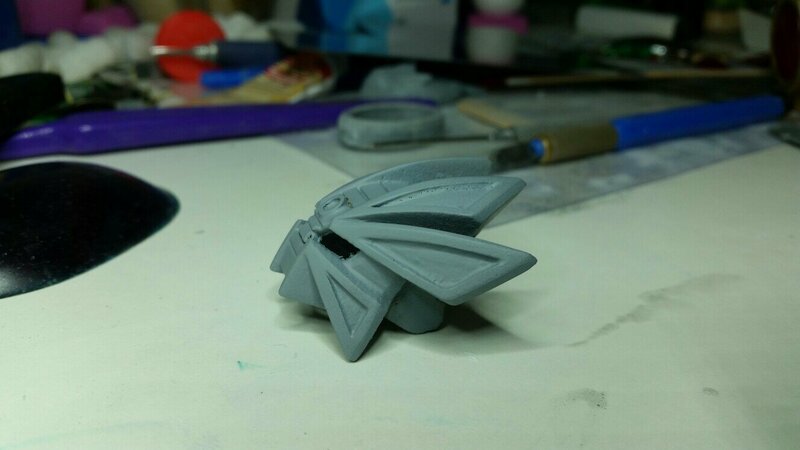 To those who ordered the MOUP in both Villager Scale and Titan Scale, how do they compare size-wise with the prototype mask on the original model? Which would is closer to the actual piece? Are either actually in scale with it to begin with, or are they just sized relative to The Journey to One? Also, it seems that @Cyber-Hand has disappeared, any idea where he is? 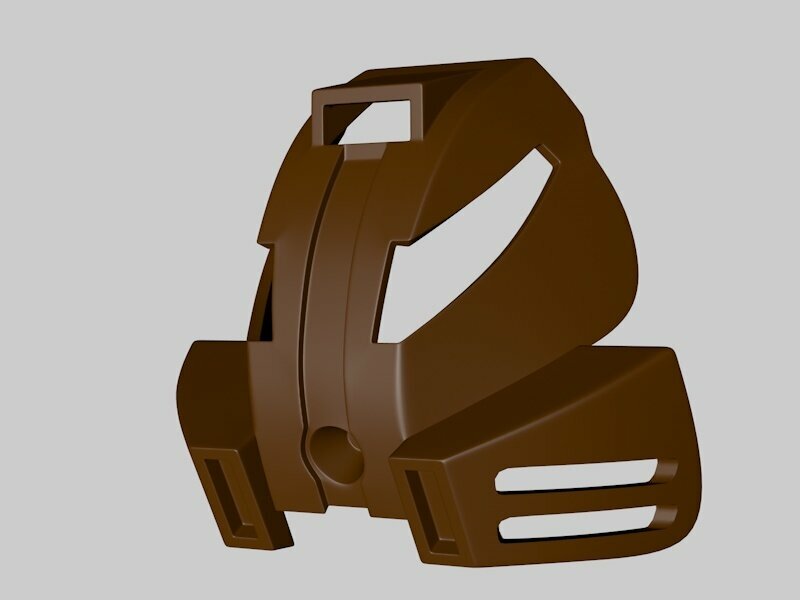 The Titan scale was made to mimic the prototype mask, so that is the closest to the actual piece. The Villager scale was made explicitly to look better with smaller sized figures like Ekimu. Also, as a heads up, I'm pretty sure the Villager model still has yet to get the final update, so your masks might look slightly different when you receive them. Hello everyone, It has been more than a month now that I have been having troubles with my internet. A cyclone hit and they recently restored it but still having downtime. I am pleased to say that I have been able to continuing my tests to make more stuff and because of that and the lack of internet for commissions I am running a little low on funds. I will address everything I have missed first. your combined mask of time, have you been able to work on that? Just asking, take all the time you want on it. Finally, do you plan on adding a fit G2 mask clips to that Skull Kid mask? Because I'd love to put that onto a BIONICLE XD. Sadly I have not. With the general consensus being you want the G1 Vahi fused on top of my G2 Vahi. I have not been able to find reference images to make an accurate model and do just that. If anyone can take good images of the G1 Vahi and post them here I can get back on that and get it out. What I need to make it are a front image and a side image. Try and get it as straight and lined up as possible. I am not sure that adding clips to Majora's mask would work. Might turn out like that flat Vahi I posted a while ago. Here is what i have done on that so far. I am very happy with how the bottom half looks but am not sure how to do the top half.Any advice is as all ways greatly appreciated. what would you think of a topic on the message boards that was a discussion page where everyone can post pictures of their 3D models, prints, and talk about 3D printing? Ah I did see this a little while ago. 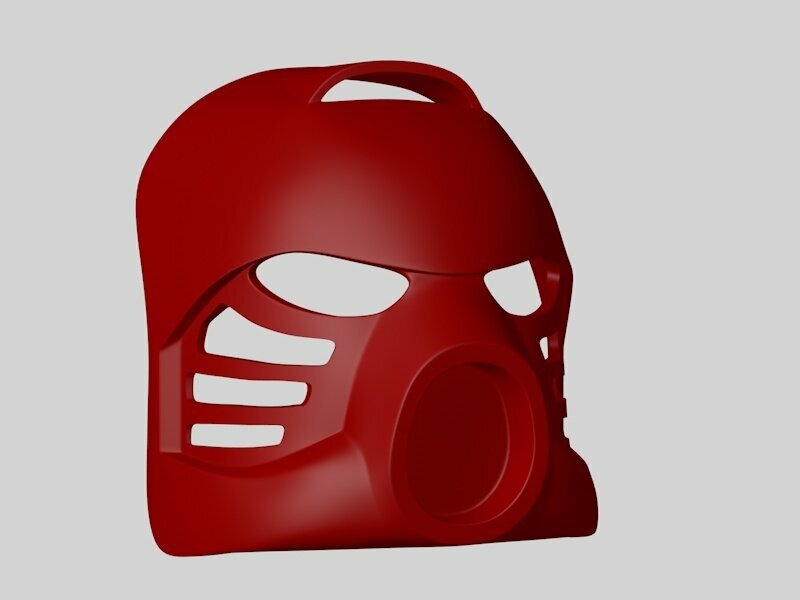 I love the design they have settled on and will be making the masks for those once I can get side views of the masks. Ixrollout and i have been missing each other on skype. We are trying to find a better way to keep in contact to get the final few tweaks done. After the titan scale is done i will move the changes to the villager scale. No problem happy to help. From what I have seen, yes it is a surprisingly good match. 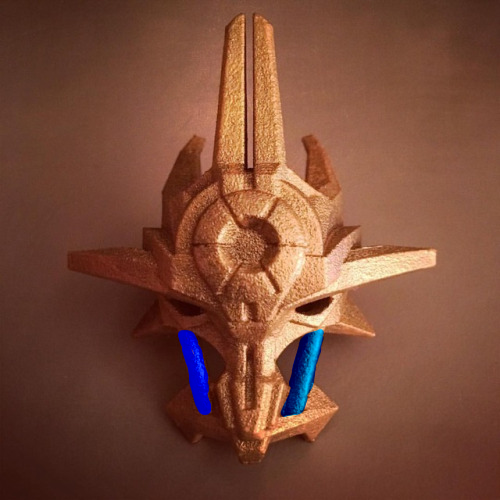 would the references in the Art Book (bigger res available in the PDF) combined with the small preview from the leaked image of Umarak the Hunter be adequate to make a model of the Prototype Mask of Control, and if so how much would your commission price be to model it and put it on shapeways? My Commissions start at $40 (if you think this is too much keep in mind that i do spend about 6 hours minimum on a mask.) Also from what I can tell it would be cheaper to purchase a second Mask of control and use a file to cut the section out at the top and score some lines in. Sure what did you have in mind? If my internet holds up. Tomorrow. is it possible to get a Mask of Ultimate Power in black strong and flexible polished? I think it would look better than standard strong and flexible. That must be one done with the new sanding process they are using. It gives a much nicer finish. Unfortunately not but the material they use does soak up paint nicely so that should work if you get a white one. 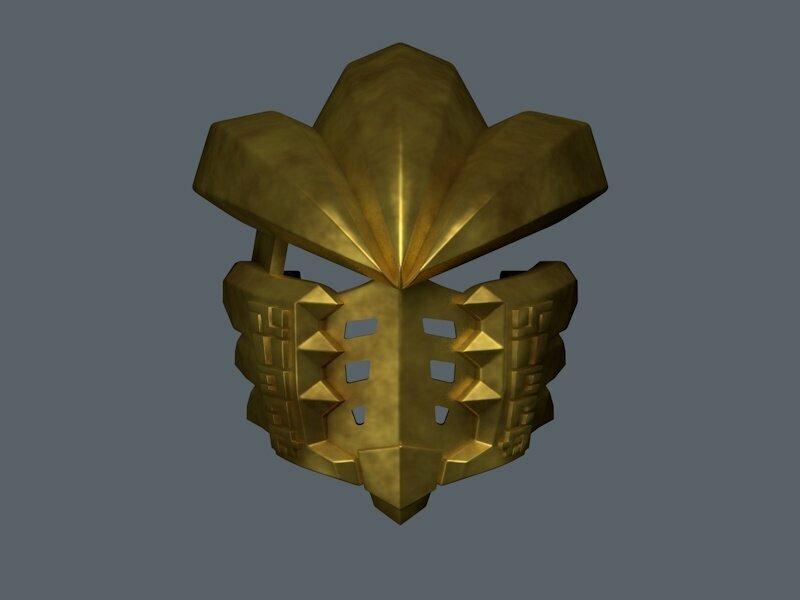 So for anyone wondering what the Matte Gold finish from Shapeways looks like, here you go. I gotta say, although the price is a little steeper the material feels great in hand and the look to me is well worth the cost. That looks beautiful. I am defs going to using those images on the shape ways page. Right, now onto what I have been up to the past few weeks. 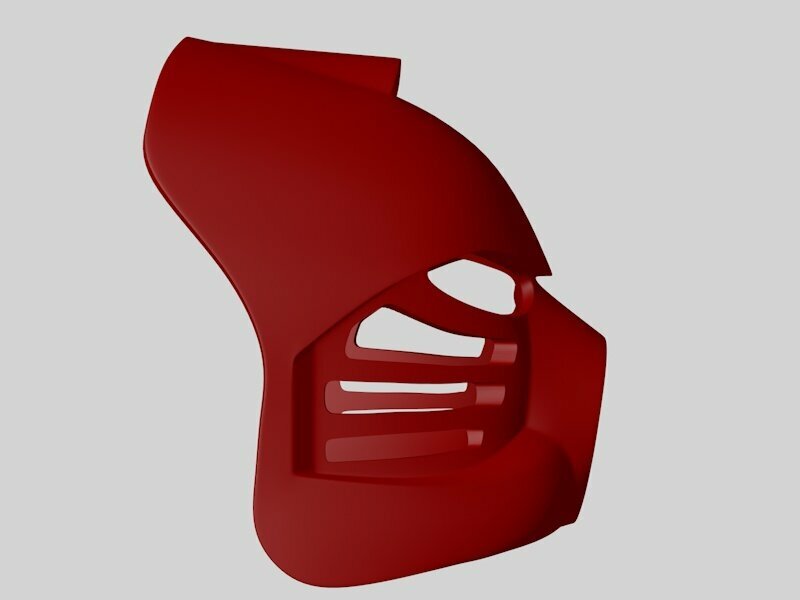 I am ready to make full scale Kanohi Mirus. I am just waiting for Eljay to publish the Interview I did with him then I will be posting a listing on Etsy that will give a discount on the actual price as well as two bonuses. I am also ready to start printing these. But due to lack of money at the moment can't afford the material for such a large project. I have been working on cleaning up a G2 Vahi that I made at home and practicing making intricate objects smoother while retaining the sharp corners. Hobby knives have become my best friend in this task. I have Been working on making things I can sell if I get a booth at a pop culture convention. 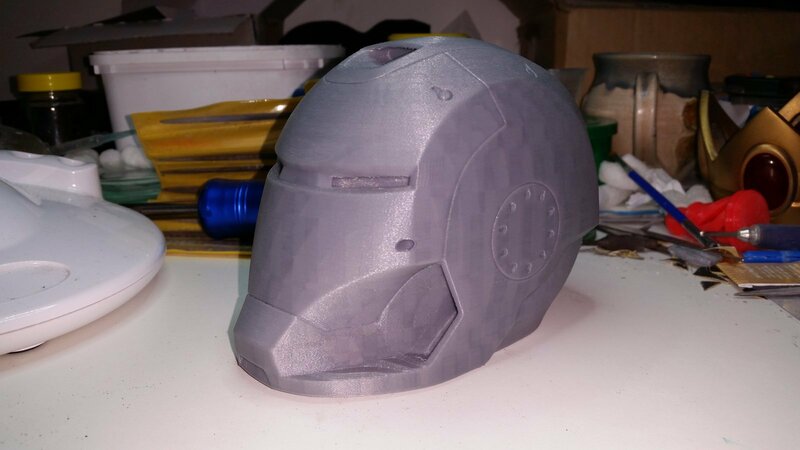 Starting with a bunch of half scale iron man helmets. This is the only one I have printed at the moment. it took 13 hours and 45 minutes to print. I have a listing for that on Etsy here. 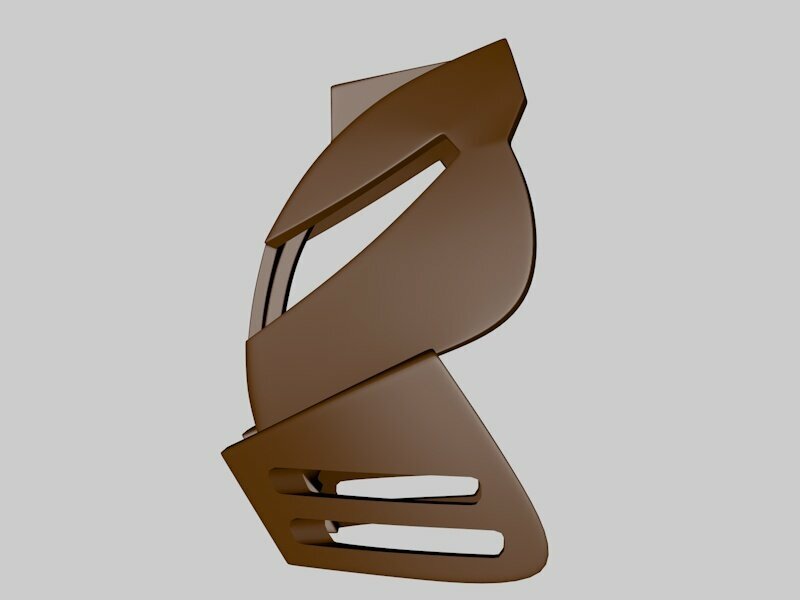 going to use the money to by the material needed for the other full scale masks. 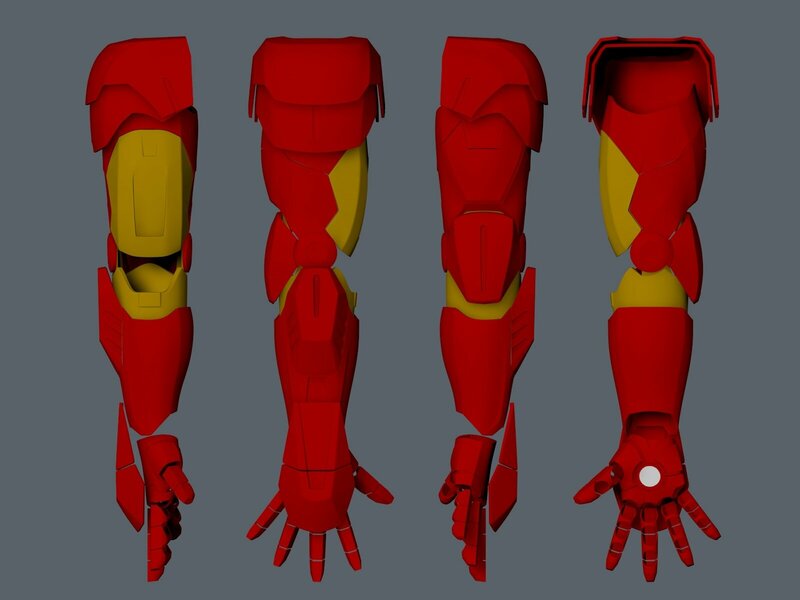 I am also thinking about making More Iron man stuff including gauntlets and gloves. If anyone else can think of anything I could make or you think would be popular let me know. Hopefully I can be more active on the site again now my internet is more stable. Glad to hear it, man. I understand that it may very well have fallen through, but it would be excellent to get some final word on it regardless. f anyone can take good images of the G1 Vahi and post them here I can get back on that and get it out. What I need to make it are a front image and a side image. Try and get it as straight and lined up as possible. Well why didn't you ask sooner! Here you go! Hope these help! Been waiting for this G1G2 mask for a long time! Let me know if you need any other photos, I have both your G2 mask and the G1 Vahi. Love the Avohkii so far! The bottom half is gorgeous. Like you said, the upper bit is a little weird. From the side it looks amazing though, just from the front... it's not as appealing imo. I don't really know how to explain how to fix that. Maybe adding something similar to what the original Avohkii had at the top? 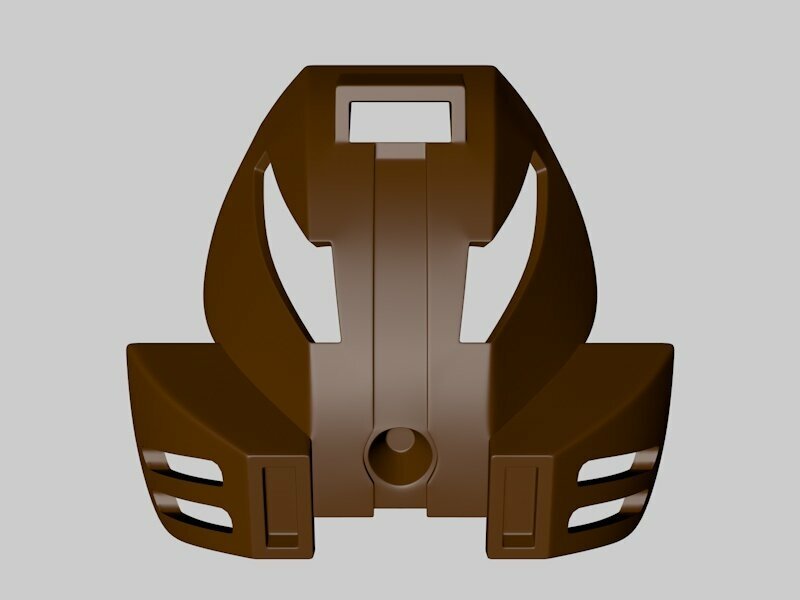 I think that top of Avohkii is just too simple, comparing it to lower half, that is very well detailed. By all means, I would be very happy if you uploaded the pics to Shapeways. 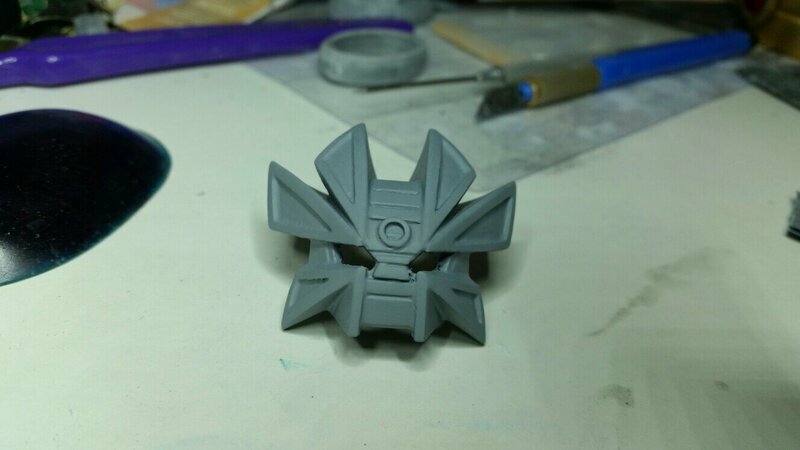 And in regards to the G2 Avohkii, I'm not sure what could be added to the spikes, but maybe you could try incorporating the circular injection mold/head crest onto the forehead. Since it seems to be a theme with G2 legendary masks. 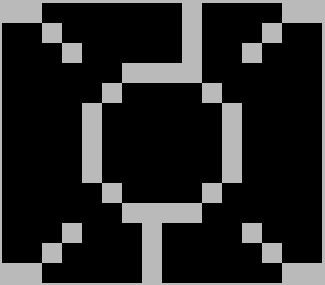 In reference to the avohkii, what if you flattened the top ridges similar to the 03 version and added a few runes? The progress made on all of these models looks amazing. The avohkii interpretation is coming along great. There is definitely some need for detail balancing. Maybe continue the runes on the outermost surface of the top sweeps. The top may need some size tweaking as well. I'd be interested in talking sometime as well. Prop making is an interest of mine as well. @Cyber-Hand The Hau and Kakama models are life sized masks, right? Oh my goodness they look perfect! Are you planning to make those available personally, or through shapeways? By the way, @Cyber-Hand, nice interview! @Cyber-Hand I love the progress that the G2 Mask of Light is taking. That face and jaw of it look see inspiring. I think that the spikes on the are a bit too wide. Perhaps a cranium more inspired by the Mask of Control would aid in the overall shaping, or something based off of the movie version when worn would help aid in shaping. 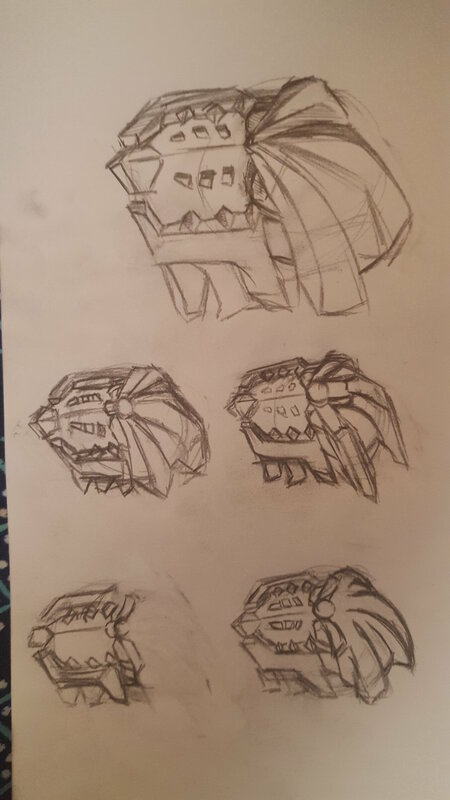 I ended up drawing the Mask you made as well as cranked out three (super sloppy mind you) alternate design directions you could take inspiration from. Keep up the great work man! 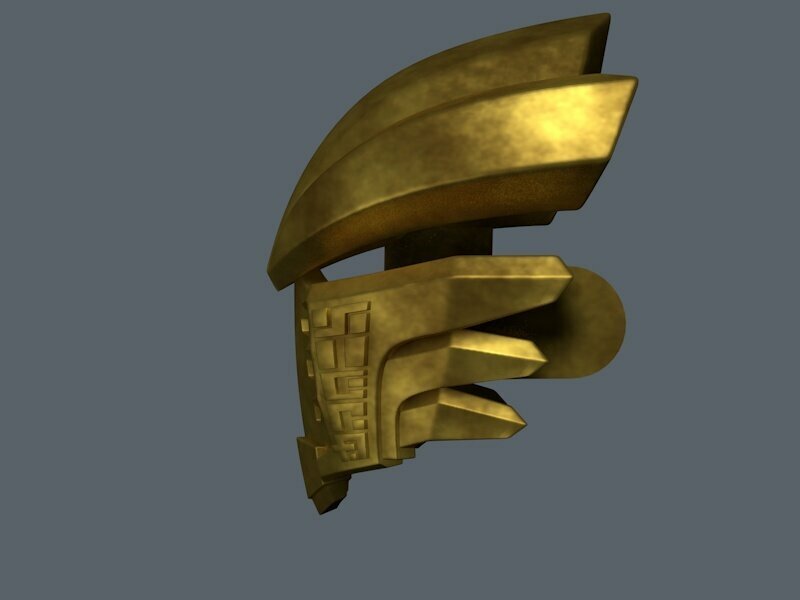 So obviously you don't need to include this if you don't want to but Takanuva had a non-canon Nuva symbol that appeared in some old BIONICLE game or something and I think it would be so cool if you could include it on the mask, maybe replace some of the cheek ruins with it? 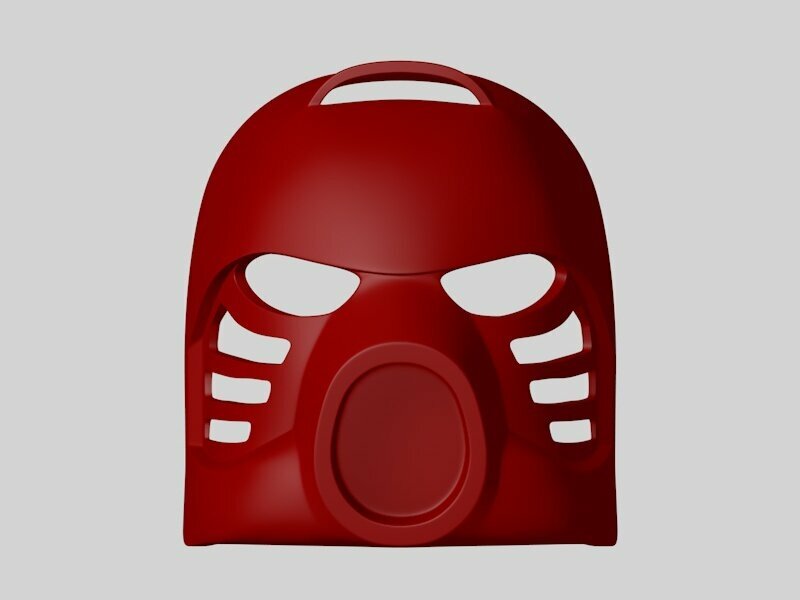 It would just fit that each Uniter Mask has their Nuva symbol on it and if you included this Nuva symbol your Avohkii would be so cool! 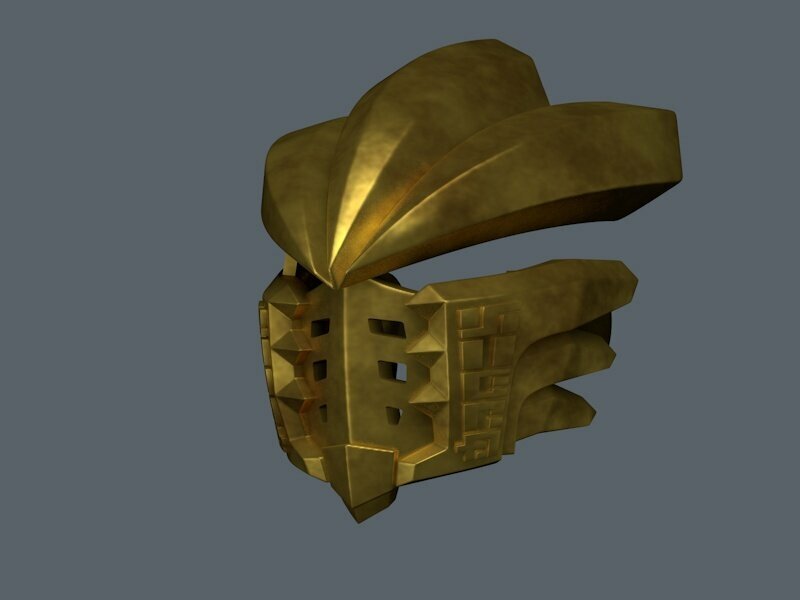 @Cyber-Hand, at Titan Scale, are the columns on the side of the MOUP (Highlighted here) the proper scale for pieces with clips, like the Skull Spider mask?